Kristy's Awesome Surf Adventures: We're Back from the Zihuatanejo Surf Adventure! We're Back from the Zihuatanejo Surf Adventure! Koto staying high and racing down the line! All good things have to come to an end, and it was REALLY hard to end this Siren Surf Adventure! We had a great group come join us to surf one of Mexico's most amazing waves, some of the best I have surfed! Serving up consistent waves for weeks and amazing conditions. Of course a surf trip with me is not a surf trip unless there is awesome food, and eat great food we did! There is no better place for fresh fish, lobsters and shrimp. Our chef, Elvira, had fresh fruits, juices and huevos rancheros ready for us in the morning pre surf! The surfistas that surfed with us on week 2 had the greatest pleasure of meeting and surfing with the great Linda Benson. What a treat! In case you missed out on the Jan./Feb. 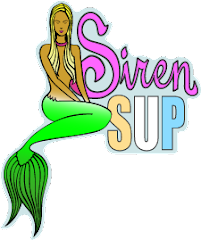 Siren Surf Adventure to Zihuatanejo, don't worry. We have 2 more glorious weeks coming up, April 12-18 and a special co-ed week April 21-27. For more info please email me at info@kristysadventures.com or check out www.kristysadventures.com.